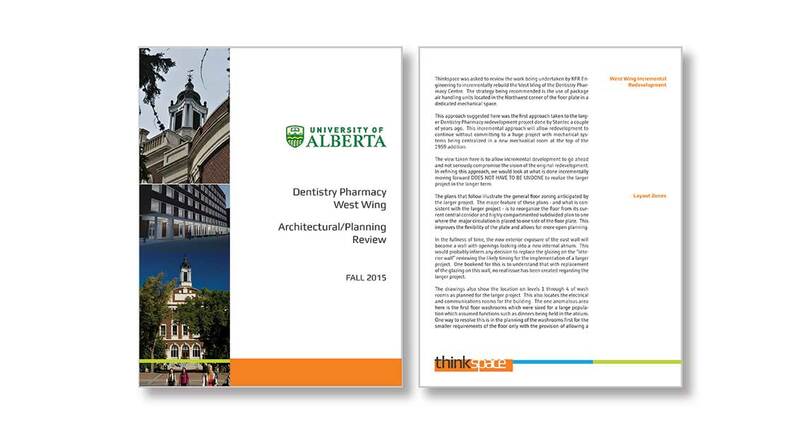 The redevelopment of the Dentistry Pharmacy was first envisioned as a large project that rebuild the entire 35,000 SM facility to the new administrative centre of the University. That plan is still applicable, but the funding of it as a single project is unlikely. As a result, it is being approached as a series of incremental redevelopments floor by floor beginning on one wing. In this instance, it is the west wing of the building. 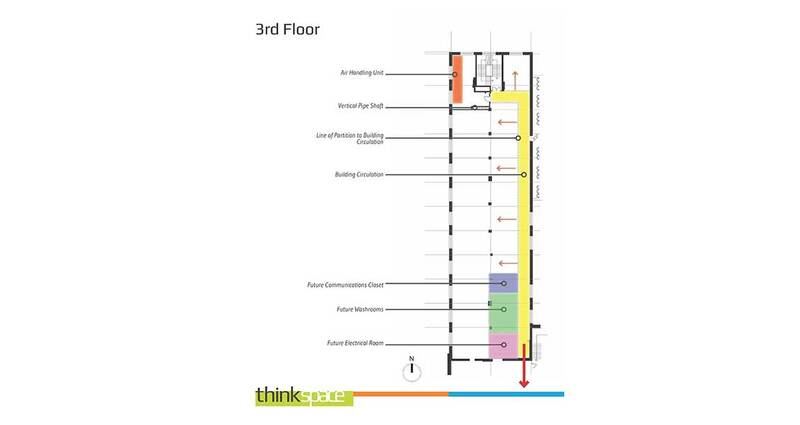 The scheme calls for the placement of new air handling equipment on each floor sized for that floor. 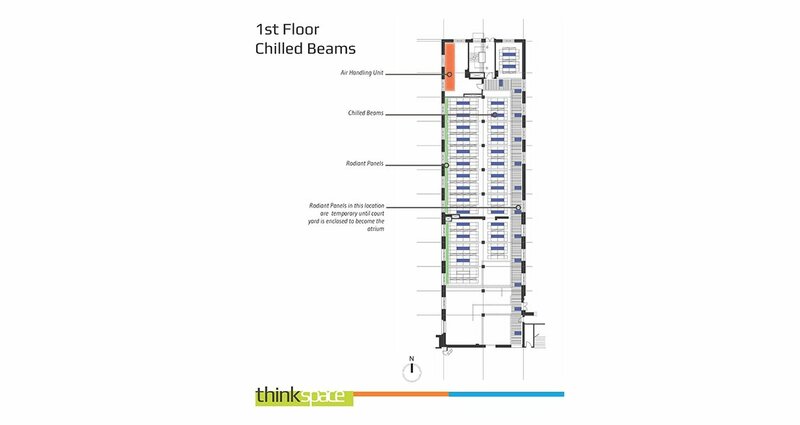 This equipment is housed in a mechanical room on each floor in the North West corner with a pipe chase that supplies chilled water and hot water vertically to the units and to the supply the radiant panel heating.